We are a professional printer in Thailand. We print all kinds of quality printing materials. With a long experience in printing profession, we are confident to serve you with rapid, close tracking, high quality printing jobs. We print leaflets, brochures, pamphlets, books, booklets, catalogues, journals, annual reports, posters, all kind of cards, name cards, letterhead, envelopes, folders, labels, paper boxes, paper bags etc. No matter whether they are small or large printing jobs, one color or multi-color printing jobs, using offset or digital or other types of printing processes. We will always concentrate and take care of every step of works. And of course, we can offer you with our most competitive prices. Just contact us via any means. 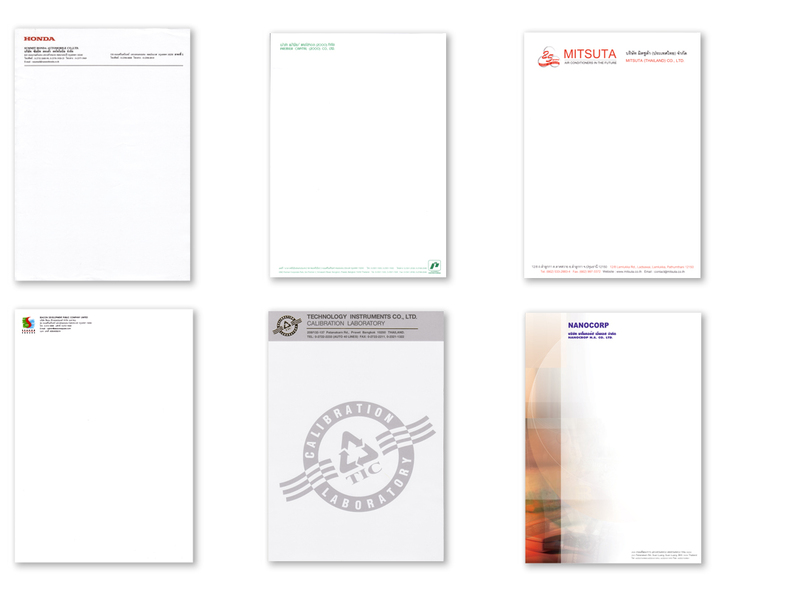 We are happy to provide you with our consultancies in any printing aspects.